Floyd Mayweather VS Conor McGregor, also termed as ‘The Money Fight’, is most probably the biggest and the most anticipated fight in the history of both UFC and Boxing. Why? Because it’s MMA VS Boxing. Yup! You’ve read it right! The fight is between the biggest UFC star, Conor ‘The Notorious’ McGregor VS The undefeated G.O.A.T (Greatest Of All Time) retired boxer Floyd ‘The Money’ Mayweather. Update: Floyd Mayweather has won the fight! Conor McGregor Loses. 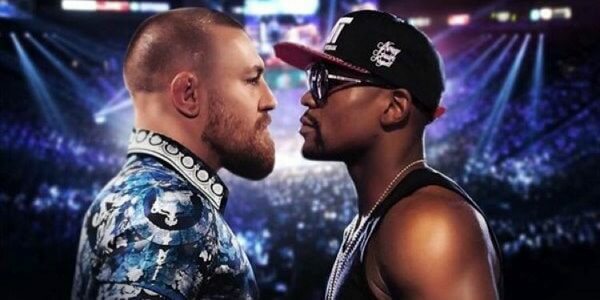 So, if you’re one of those millions of other fans who are searching about ‘How To Watch Conor McGregor VS Floyd Mayweather fight live online’, then you’re in for a treat because this streaming guide covers all the online streaming channels and TV channels where you can watch Conor McGregor VS Floyd Mayweather Fight Live from anywhere in the world. Mayweather VS McGregor Fight Details- What’s The Significance Of This Fight? When Is it Happening & Why Is It Happening? When it comes to MMA, Conor Mcgregor is undoubtedly the biggest UFC star there is considering his achievements in the sport and his infamous style of trash talking about his opponents outside the ring and proving them wrong inside the octagon. He is the first fighter in the history of UFC to hold two titles simultaneously in two different weight divisions. Similarly, when we talk about boxing, Floyd Mayweather boasts a stellar record of 49-0 and is the undefeated boxing champion and is considered to be the greatest boxer of all time. He’s also famous for his trash talking and predictions about how his fight going to shape before it even happens. The last big fight Floyd Mayweather had was with Manny Pacquiao in 2015 which was the biggest boxing fight of that year which was also billed as ‘The Fight Of The Century’. So, both the fighters have agreed to face-off each other and the fight is officially on! Seriously, wouldn’t you put your body on the line for $100 million? Well, this is pretty much the amount that Conor McGregor expectedly is going to make and same goes for Mayweather too. There is a reason this fight is termed as ‘The Money Fight’ and whoever wins this fight would make history…and money of course! When Is the Mayweather VS Mcgregor Fight? What Is the Mayweather Mcgregor Fight Time? The Reward For The Winner Of Mayweather VS McGregor Fight Is…The Money Belt! 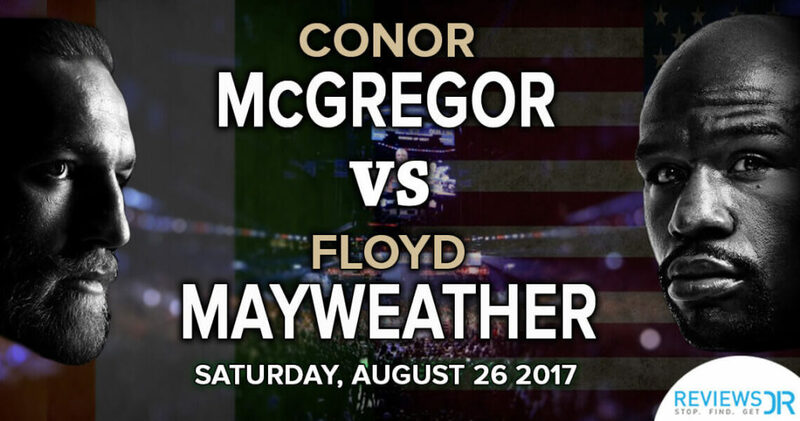 Although Mayweather VS McGregor fight was a no title match but on Wednesday, the president of WBC, Mauricio Sulaiman revealed the custom-made belt named as ‘The Money Belt’ which will be rewarded to the winner of the Floyd Mayweather VS Conor McGregor boxing match scheduled to take place on August 26th at T-Mobile Arena in Las Vegas. The Money Belt is made up of 3360 Diamonds, 600 Sapphires, 300 Emeralds, 1.5 Kilograms of Solid 24 Karat Gold. 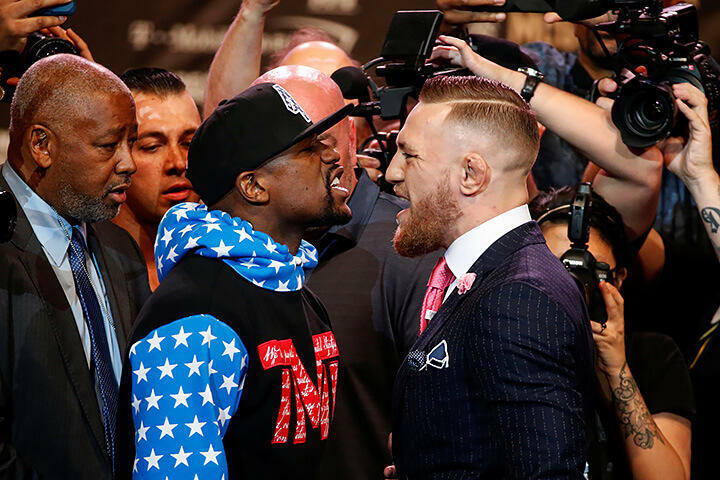 Floyd Mayweather VS Conor McGregor fight is going to be the biggest fight of the millennia and one of a kind, and a lot of online broadcasters are bidding to broadcast the fight online. The above-mentioned channels are the official broadcasters of the fight, but the sad bit is that all these channels are geo-restricted. It means that you’ll only be able to watch Mayweather VS McGregor Fight live online only if you reside in the specified countries. But, don’t sweat yet! You can watch Floyd Mayweather VS Conor McGregor fight live from anywhere in the world with a VPN with absolutely no hassle. Using a VPN, you can connect to any country’s server and watch the fight like a local. It doesn’t matter whether you are from China, Germany, Middle East, Asia or Europe, you can easily watch the bout on any official geo-restricted channel using a VPN. 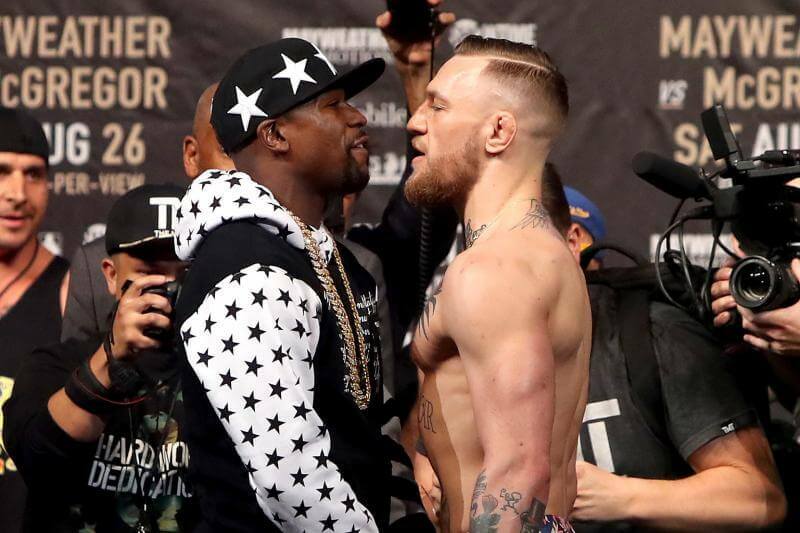 The Conor Mcgregor VS Floyd Mayweather fight has already taken shape of something similar to a movie script and the biggest surprise for the MMA and Boxing fans is that the fight is also going to be shown live in the movie theatres with the fraction of the amount of the official Pay-Per-View. The official pay-per-view price for a high definition HD feed costs about $99.95, whereas the ticket price for a seat in a theatre would range from $15 to $25 which is less than a quarter of the amount paid for the official PPVs. This special viewing option is stemmed from the agreement between Fathom Events and Mayweather Promotions, and to check the list of the theatres showing the fight live. McGregor VS Mayweather Press Conferences – The Ultimate Trash Talking Face-Offs! Both ‘Notorious’ and ‘Money’ embarked on a tour in four cities in four days for their press conferences and all the faceoffs and trash talking was good enough to quadruple the pre-build hype for the fight. We observed some outrageous behavior, scuffles and derogatory remarks made by both of the fighters for each other. Nonetheless, it’s all part of the show undoubtedly these press conferences are a fun watch and early indicator of how interesting the fight is going to be. Conor McGregor: I don’t see Floyd lasting more than 2 rounds. I think I have to end it inside one. Floyd Mayweather: Conor is hell of a fighter and it’s not gonna be an easy fight. Conor McGregor: We’re prepared for 12, 3 Minutes rounds of non-stop pace. I will put pressure on him (Floyd) and break this old man. Floyd Mayweather: Guys say all kind of stuff. After 21 years I have been hit with everything but I am still right here. Showtime is the official broadcaster and sponsor of the Floyd Mayweather VS Conor McGregor fight and if you wish to watch the fight on Showtime, you’ve got the purchase the PPV in order to watch the fight. The cost for a standard definition would cost around $89.95, whereas the cost for a High-definition version would cost around $99.95. It isn’t much cheap but surely worth it. But the biggest issue is that Showtime is only available in US, and you won’t be able to watch the fight on Showtime if you’re outside US. But no worries! With a VPN, you can watch the fight from US. You simply need to opt for one of the VPNs mentioned above in the list, download it and connect to any US server and accessing Showtime to purchase and watch Mayweather VS Mcgregor fight from anywhere in the world. Boxing and MMA fans who are in UK can watch the Mayweather Mcgregor fight online on Sky Sports Box Office by purchasing a PPV that’ll cost ‘em around £19.95, or if fans from Ireland wishes to watch the bout, the PPV price would be €24.95. 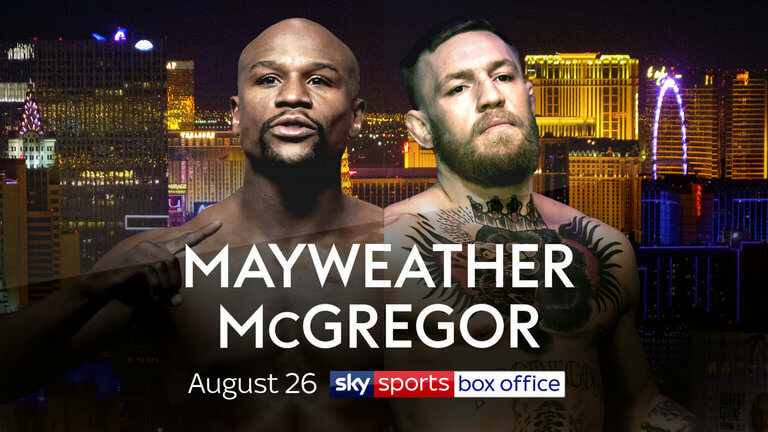 If UK expats wish to watch the fight on Sky Sports Box office, or have already purchased the McGregor VS Mayweather PPV but would not be in UK at the time of the fight, they can simply get a VPN and connect to any UK server to watch Mayweather VS Mcgregor fight live online from anywhere in the world on Sky Sports Box office. USTV Now is another great streaming option to watch Conor McGregor VS Floyd Mayweather fight live online. The official USTV PPV would cost you around $89.99 for standard definition an astounding $99.95 for a high-definition stream. But as the story goes, USTV Now is only limited for viewing within the US, and if you are residing outside of US, you won’t be able to access the channel. So, the same solution works here too. 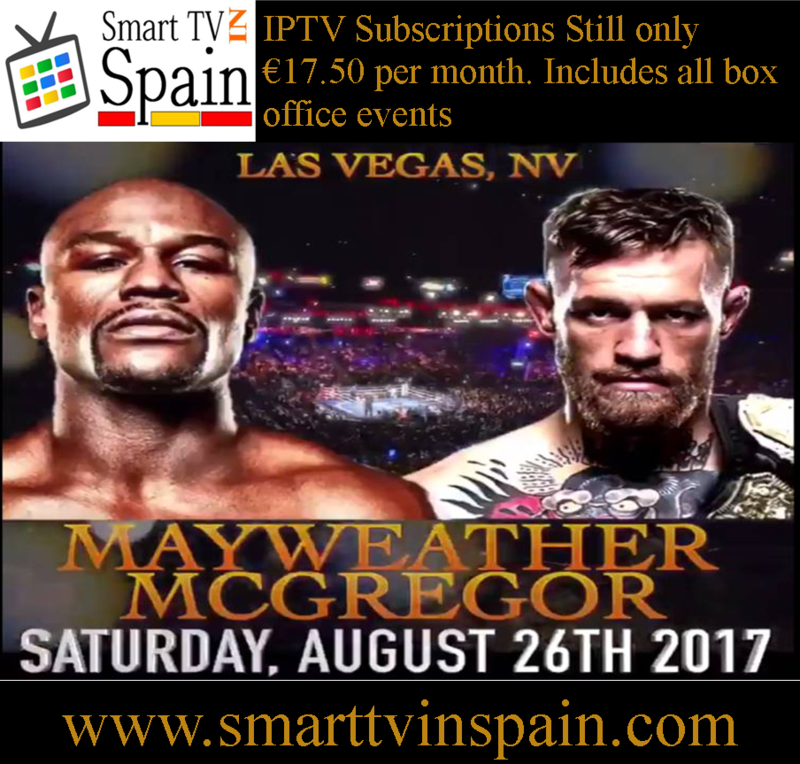 Simply get a VPN and connect to any US server to access USTV Now to watch Floyd VS Conor fight live online doesn’t matter where in the world you are viewing it from. This fight is a professional boxing fight and all the rules that are applied in any professional boxing match apply in this fight too. This fight would be the first professional boxing fight of the MMA fighter, Conor McGregor who’ll be shifting his stance and fighting style from the Octagon to the boxing ring. Both fighters would wear the standard boxing gloves and use of legs, which is allowed in UFC is banned in this match. And if Conor McGregor, instinctively uses kicks to dismantle Mayweather, he will be disqualified from the fight and would face severe penalties. The boxing fight would go 12 rounds of three minutes. Want to watch Conor VS Floyd fight online for free? There’s a way. You can watch it on Kodi. Many Kodi users will be live streaming the fight on their respective operating system and devices like Roku, Firestick, Chromecast, PS4, Windows, Mac, iOS, Android or any other platform on which they’re running Kodi on. Enable the ‘Unknown Sources’ option because that’ll enable you to install third-party addons. Select the ‘Yes’ option if a notification pops up notifying you about the same. You’ll see the Sportsdevil addon icon. Do you think this fight is an absolute insane mismatch? Well, you’re not the only one. Considering that this would be the first professional boxing fight for Conor McGregor against the undisputed Boxing legend Floyd Mayweather; hell yes, this is a strange fight…but that’s what makes it interesting it at the same time. Conor McGregor = Haven’t professionally boxed at all! Doesn’t matter who wins or lose, this is going to be one epic fight for sure! All Excited And Pumped Up To Watch Mayweather VS McGregor Fight Live Online? Who’s Your Pick? Whether you talk about UFC or Boxing, the Mayweather VS McGregor fight is the talk of the town and an ultimate battle for both the men to prove who’s the best fighter in the world. Both Conor and Floyd are number 1 at what they do, and this is once in a lifetime opportunity for both of them. Reportedly, this fight can cross the revenue benchmark of $600 million made in Mayweather VS Manny Pacquiao fight. This is going to be an epic bout. Make sure you watch Mayweather VS McGregor fight live online now that you know all the streaming channels, TV channels, online resources (both free & paid) to watch the fight as it happens. So, who’s your pick? Who do you think is going to win? Share your views, predictions, thoughts with us in the comments section below and we’ll get back to you. s far as the predictions go, I think it’s pretty impossible for Conor to win this fight. But Floyd has been out of the ring for a long time, and Conor is in great shape and form. Can’t say anything for sure at this point. Mayweather VS McGregor fight would be the biggest fight of the decade and I’ll definitely watch it online. Well, In my opinion, Mayweather should win. It’s a boxing match, and Mayweather is one of the greatest defensive fighters ever. If it were an MMA match, of course, Conor would win. But it’s a boxing match, so Mayweather should take this. Well, I simply can’t wait for this fight. At this point, my mind just boggles to guess who has better odds. Because we know Floyd is the best, but would Conor prove to be a worthy competitor in the ring, only time will tell. Can’t wait to watch Mayweather VS McGregor fight online. Mayweather VS McGregor fight is going to be huge. Can’t wait for it. I am pretty sure that Floyd would be leading the fight and I see it as 90 / 10 (Floyd / Conor) fight but if still Conor somehow manages to win the fight, I would quit watching Boxing! 🙂 Well, nonetheless, whether you are a fan or not, this fight is a must watch. Besides, I like your guide and it’s really helpful in watching Mayweather VS McGregor fight live online. I bought a subscription on ScreenVariety Tv for $50/yearly. I can highly recommend it for you guys if you are in work or just don’t have around you.